Dessert shouldn’t be one of them. Enter: Cannoli Queen. 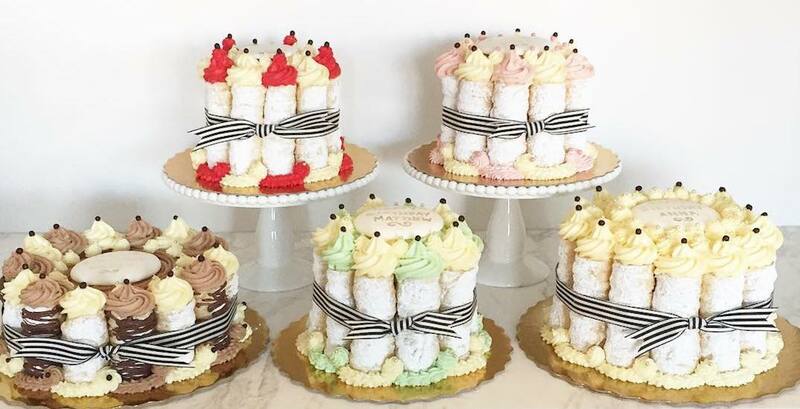 The Vaughan bakery that’s making cakes made of cannoli. So you don’t need to choose between two classic sweets — you can have your cannoli cake and eat it too. This spot is designing cakes made of gourmet versions of the classic Italian treat. Nutella and Vanilla with Lilac icing, Black Forest and Pistachio are just a taste of the many delicious options available. And if you’re looking for a sweet treat for a special occasion, these beauties are right up your alley. From birthday cakes to tiered wedding masterpieces, there’s a cannoli-creation with your name on it. Literally.